For a limited time DG Boxing is offering its 8:00 p.m. group boxing class for just $60 per month! This special is available at our PCH location only. Please call (562) 986-9421 for details. 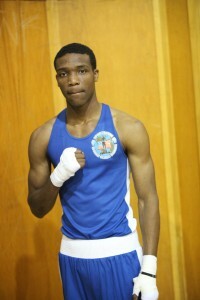 Support your Long Beach Boxer Jeter. DG Boxing is proud to announce Jeter’s next pro fight. The fight will be going down on November 28. See you at the fight! DG Boxing is working on the dream documentary, Journey to the Golden Gloves, which follows the path of boxers who are planning to compete at the 2115 Golden Gloves. Support the documentary by prepaying for the DVD. $25. Join Daniele Bolelli for an excellent seminar on women’s self defense. The seminar will take place on February 9, 2013 from noon to 1:00 p.m. Call 562-986-9421 for reservations and further details. 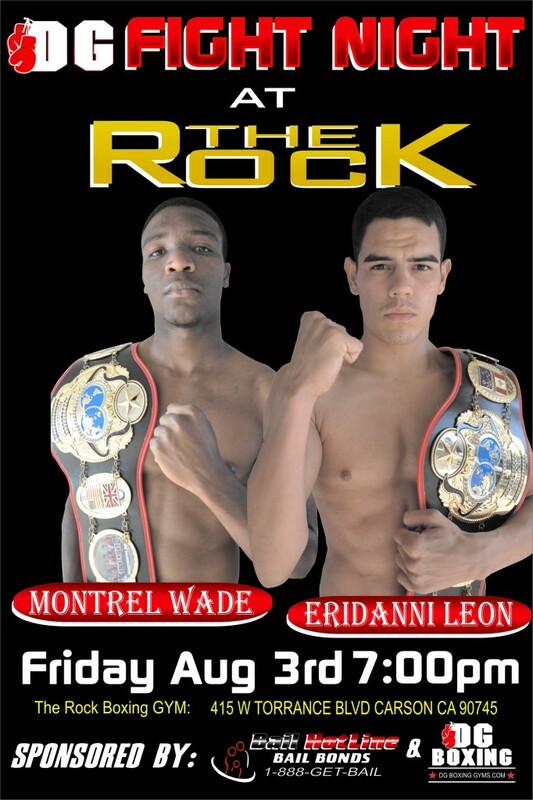 DG Boxing would like to congratulate Montrel Wade, winner of the 152 pound belt at DG Fight Night Championship on Friday, August 3. Friday, May 11 @ 7:00 p.m.
Sunday, April 29 @1:00 p.m. The latest installment of DG’s famous Fight Night boxing match series is here! Come out and catch all the action. Check the Blog section of our website for details and more info, including dates, times, location and ticket info.